Standard Chartered is a British multi-national bank established in 1969 after the merger of the Standard Bank of British South Africa & the Chartered Bank of India, Australia and China and is headquartered in London, UK. It provides banking solutions which includes retail banking and financial services like wealth management to clients with high net worth. It has more than 86,000 employees and operates in more than 60 markets. It is listed on the London Stock Exchange, Hong Kong Stock Exchanges and the Bombay and National Stock Exchanges in India. Standard Chartered Bank’s mission statement is “Driving commerce and prosperity through our unique diversity”. Standard Chartered Bank’s USP is their global footprint which is leveraged to provide best customer experience through easy, fast and convenient services by the virtue of their local expertise. 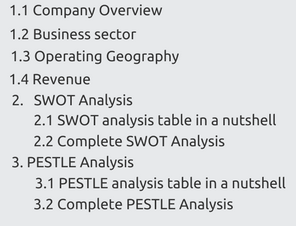 The SWOT Analysis for Standard Chartered Bank is presented below in a nutshell. 1. Brand visibility and global footprint: Standard Chartered is one of the oldest and largest banks globally which make it a trustworthy and valuable group. The group makes sustained efforts to retain customers through optimal product delivery to suit the changing market needs. It is able to acquire and retain high-spending, engaged and credit worthy card members. Its global footprint in all continents give it merchant acceptance which is leveraged to develop local market expertise. It also has significant trademarks, service marks and patents to leverage brand value in 63 markets which give it a competitive edge. It has both small and large business clients because of its ethical business practices and financial condition. It is one of the largest trade finance banks in the world. It is #83 in Forbes’ top multinational performers. 2. Broad product and services portfolio: Standard Chartered offers personal and business banking services like loans and mortgages, insurance and investment. It has two divisions, viz: Consumer Banking and Wholesale Banking. The Consumer Banking offers multichannel services across branches, call centres, online and mobile applications. It offers savings and accounts, investment advisory, foreign exchange trading, loans, mortgages, credit cards, currency deposits, mutual funds and employee banking. Wholesale Banking segment provides transaction banking, business protection programmes, wealth management & trade financing globally. Retail Banking Commercial Banking is provided locally and Corporate & Institutional Banking Private Banking is offered globally. Its innovative vision and flexible products supports banking needs globally and help in long term sustainable growth. 3. Financial strength: The group has a history of solid balance sheets. It had assets worth $600 billion at the end of FY 2017. Retail banking income grew by 45%This builds trusts among clients and provides long term trusted partnerships. The investment-grade clients have grown to 57 per cent of customer loans and advances which was 52 per cent in 2016. Strong financials buttress bank solvency and prevent crash-landing failures in times of economic crisis. It also helps in meeting leverage ratio and cash reserves in adverse scenarios during business cycle fluctuations. It helps in expansion, technological advancements and diversification of business to generate more capital. Its investment rose from $1.5 billion in 2017 and $1.6 billion in 2016. 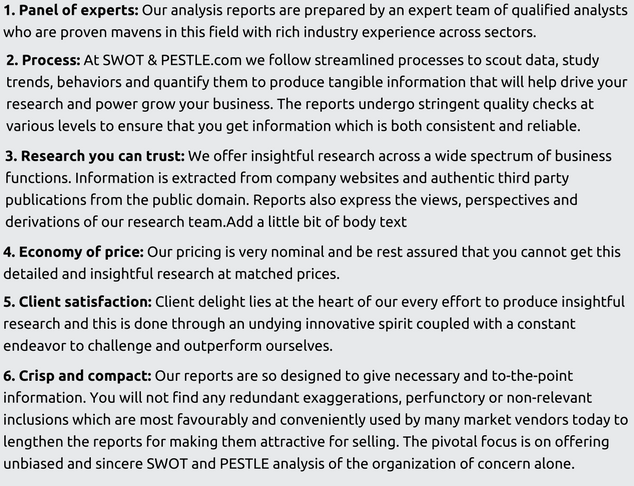 The PESTLE Analysis for Standard Chartered Bank is presented below in a nutshell. 1. Growing social acceptance of online and card payments: The acceptance of digital payment system and plastic money is growing by the efforts of different governments globally and with the increasing young population because it offers hassle free payment, payment rewards/bonus and wide network. Non-cash payments in EU grew by 8.5% in 2016. It is also due to the growing computer literacy which is willing to transact through internet. This demand is under-served in many regions like India, South Africa, etc. which are largely cash-driven economies. This adoption of online payment trends can be tapped by Standard Chartered. P2P, P2B and B2B are also increasingly accepting online payments. This can drive online payments through Standard Chartered’s payment gateways and increase their userbase. Its brand value and global footprint will attract more economies to use its alternate digital payment systems. This is also an effective and cost-efficient system for the bank as operational costs decrease and thus, profit margins increase. 2. Favourable demographics to increase online payment: There is a growing cohort of population covering around 90% of below 30 years in the emerging economies which are home to nearly 85% of world population. Around 45% of the baby boomers are willing to accept online/ card payments. The expansion of new technology and alternate online payment can tap this growing demand and will also lead to more financial inclusion. The rise in e-commerce activities in both rural and urban middle class has also increased the online payments as the number of internet users is surging especially in emerging economies which will provide a sustainable customer base to the group. Online banking occurs in approximately 72,500,000 households which represents the tech-savvy and Gen-Y population at large who can boost use of Standard Chartered’s alternate digital payment systems as they seek immediacy and lesser complications in payment. It is targeting digital consumer client base of 65% by 2022. 1. Technological advancements to supplement growth: Innovative payment mechanisms, services and advancement in data management and analytics will enhance customer interactions and communication and authentication processes. It has introduced single digital gateways to connect and consolidate multiple payment channels in China. It is using blockchain technology to streamline cross-border payments for facilitating real-time payments between Singapore and India. If Standard Chartered’s new product development keeps pace with the changes in banking industry then it can further expand its market penetration globally which will increase its revenue. Technological advancement like usage of distributed ledger technologies (e.g. blockchain), app and mobile based services, use of big data, etc. can ensure greater transparency, better risk management, better client service and information management. Standard Chartered has partnered with Alibaba’s payment arm Ant Financial to launch blockchain-powered cross-border remittance service in 2018. The bank had 45% Retail Banking clients digitally active in 2017 as compared to 40% in 2016. This will lead to efficient operations and also reduce the operational costs and increases profit margins. The bank has also opened its innovation laboratory 'The eXellerator' in 2016 in Singapore. The lab works with bank’s internal units to explore use cases and develop solutions based on emerging technologies and data analytics. 2. Opportunities in Digital Banks: The Standard Chartered group has applied for virtual banking license in Hong Kong. This will create a completely virtual banking experience for users and eliminate all physical branches. It will also improve its competitiveness as other incumbents improve their digital footprint. It has established an innovation lab in Hong Kong to capture financial technologies and data science. A large part of Ivory Coast’s physical banking system has been taken up by telecoms and non-banks through mobile-based financial services. So, Standard Chartered’s online banks can be extended to other regions as well to capture millennials. It also launched first retail digital bank in Côte d'Ivoire, Africa which is facilitating seamless digital experience. Virtual banking will improve footprint in the affluent geographies like Malaysia with better cost efficiency. Legal and General Group Plc. Standard Chartered Bank SWOT and PESTLE analysis has been conducted by Kanupriya Sheopuri and reviewed by senior analysts from Barakaat Consulting. 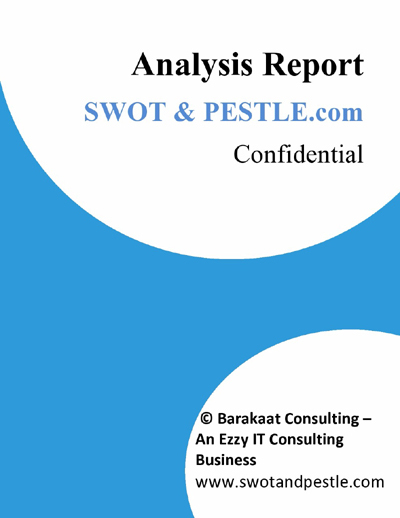 Copyright of Standard Chartered Bank SWOT and PESTLE Analysis is the property of Barakaat Consulting. Please refer to the Terms and Conditions and Disclaimer for usage guidelines.